“The Trials of Muhammad Ali” screens at 6:30 p.m. Thursday at the Madison Public Library’s Central Branch, 201 W. Mifflin St. Not rated, 1:31, three and a half stars. FREE! Director Bill Siegel will introduce the film and take part in a post-show panel discussion. Read my interview with Bill Siegel here. 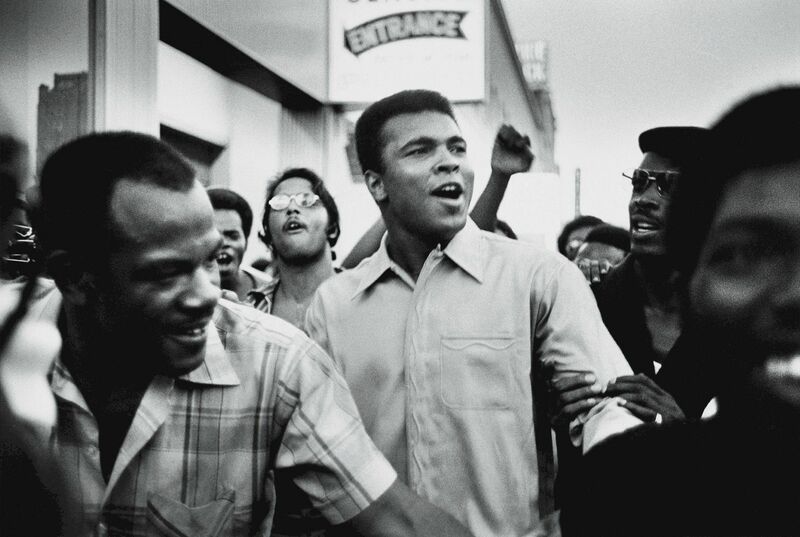 How America loved Muhammad Ali. But how America hated him too. Bill Siegel’s “The Trials of Muhammad Ali” sets the balance right by peeling away the whitewash and showing us the real Ali, and the real America that fought him in the late 1960s. The film only glancingly looks at Ali’s prowess in the ring, instead focusing on his growing political and social conscience. When he rejected his “white man’s name” of Cassius Clay and embraced Islam and his new name. When he announced he wasn’t going to go fight in Vietnam, saying he needed to fight for his people at home. When he was exiled from boxing for that decision for over three years, and prosecuted as a deserter. Michael Mann’s “Ali” touched over this period somewhat, but Siegel dives deep into what seems like an incredible story, the battle between the country and one of its most famous and outspoken citizens. Siegel has a wealth of archival footage to draw from, obviously, and he uses it well, especially clips of the speeches Ali gave on college campuses against the war. While Ali could never be accused of understatement, you do get the sense that his pre-fight bragging was something of an act, while the real Ali — earnest and unbending — comes through in those speeches. Meanwhile, it’s his critics who go way over the top, subjecting him to a verbal pummeling in the press. Siegel interviews a small number of Ali’s inner circle, including his brother and his second wife, to show how that assault affected Ali, how he seriously feared for his livelihood after being kicked out of boxing. Those speaking fees put food on the table, but they more importantly showed Ali that there was an audience out there, past the cameras, for what he was saying. Because as he was changing, so was the country around him. “Trials” is a knockout film that shows both.